The Motorola handsets with Android 5.0 Lollipop like the Moto G might any day show up a Star Sign just beside the battery indicator. The results of the Star sign in that no call or message notifications and no alerts will come to your phone. This may seem to be a problem in case you have activated it by mistake but actually it is a very useful feature called the Interruptions. Many users have posted about this problem of getting a Star symbol on their Moto G and Moto G2, and then all the notifications are stopped. So I have decided to discuss this problem here. Interruptions feature should be enabled by default. 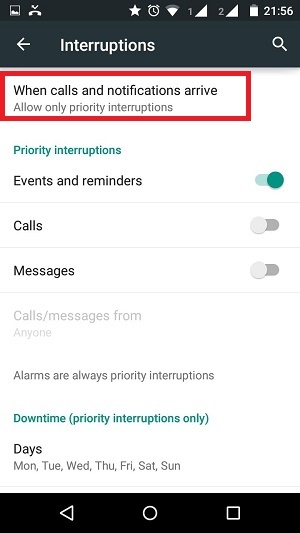 When it is enabled, you will be interrupted by call alerts, message alerts, alarms and everything. 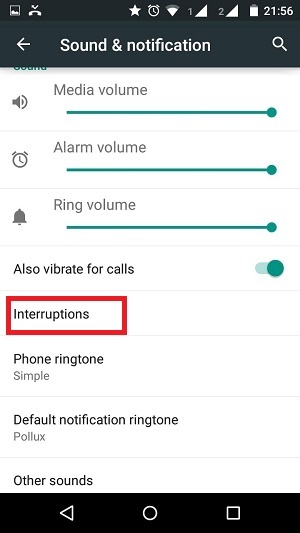 So Interruptions feature in Moto G and its subsequent handsets should be kept ON ALWAYS. When you alter this Settings, the Star symbol will pop up on your Phone. You can disable or alter Interruptions Settings when you are in a meeting, in a class, sleeping or in short, busy! You Here’s how to deal with Star symbol and Interruptions in Moto G.
1. 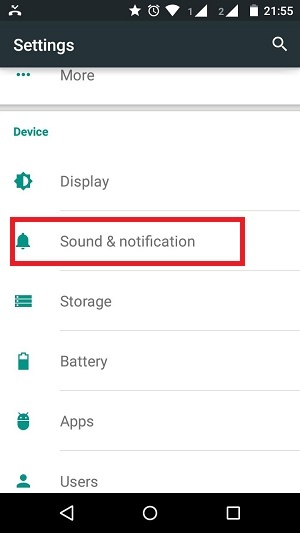 Go to Settings, then click on Sound and Notifications. 2. Now go to Interruptions. 3. Check the option When Calls and Notifications arrive, tap on it and select Always Interrupt. 4. 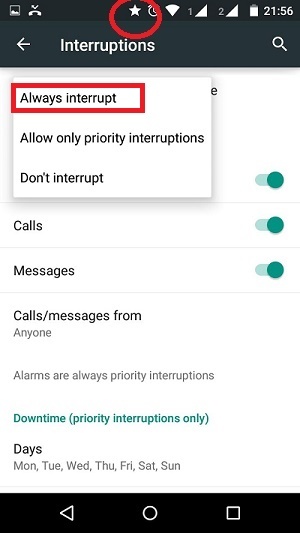 Now if you want to mute all calls, then you can either select “Don’t Interrupt” or select “Allow only on Priority Interruptions.” If you choose the latter one, you can specify days, time and other factors during which you want Interruptions to be OFF.